Here's Verizon's official update document (PDF). It mentions a new download feature, but otherwise there's nothing on top of the usual Lollipop features. 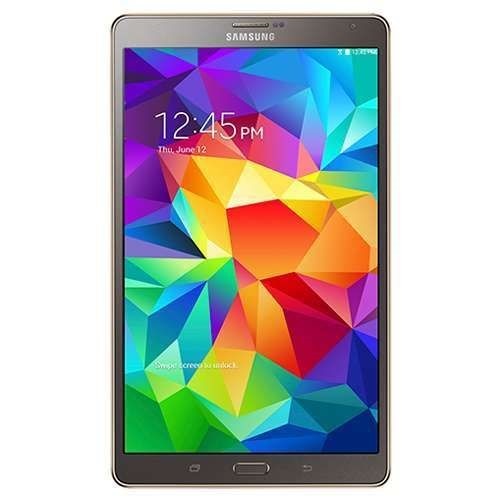 We've seen the Wi-Fi model, the T-Mobile model, and the AT&T model updated with Android 5.0, now it's time for the Verizon version of the Samsung Galaxy Tab S 10.5 to get its turn. 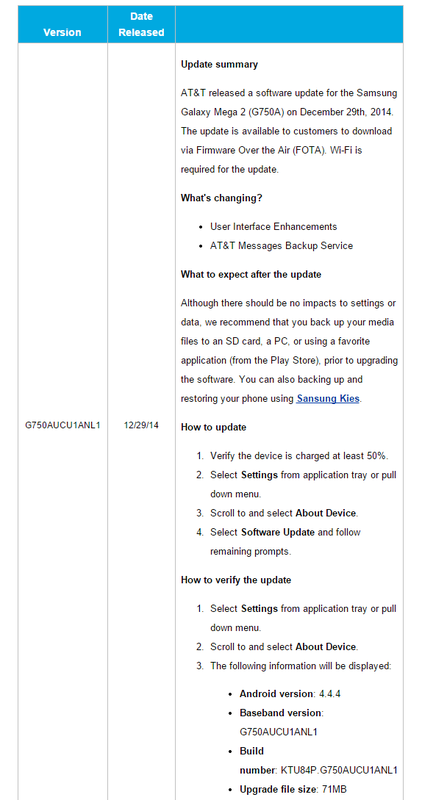 The update info for the SM-T807V has appeared on Samsung's support site, which means that the update should (hopefully) start going out to customers before the end of the day. This is Android 5.0.2, for those who are interested. 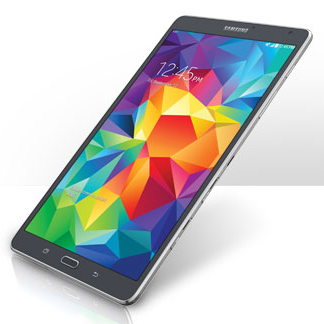 Samsung's top-of-the-line Galaxy Tab S series is hard to beat, unless you're a stickler for "clean" software. If the TouchWiz skin and the physical navigation buttons don't bother you, then both the 8.4" tablet and the 10.5" tablet offer top-of-the-line specs and unbeatable AMOLED screens. The larger of the two is on sale on eBay's daily deals portal today. You can pick up the 16GB Wi-Fi base model for just $279.99, an impressive $220 off of the retail price, and $170 cheaper than Amazon. A couple of caveats: one, while the tablets are marked as "new," the seller seems to think that the definition requires a few conditions. Samsung's top-of-the-line Galaxy Tab S series is legitimately awesome, but the 8.4 and 10.5-inch models are also considerably more expensive than their competitors. 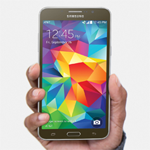 For a short time Samsung is discounting both of them by $100 on its official online store. 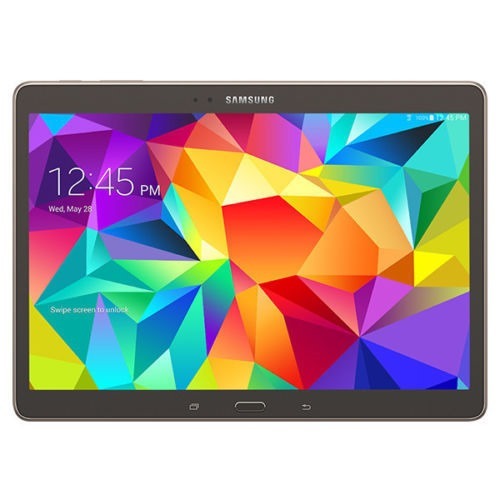 The base 16GB Wi-Fi models of the Galaxy Tab S 8.4 and Galaxy Tab S 10.5 are now $299.99 and 399.99, respectively, a sale price that's reportedly effective through Saturday, April 11th. 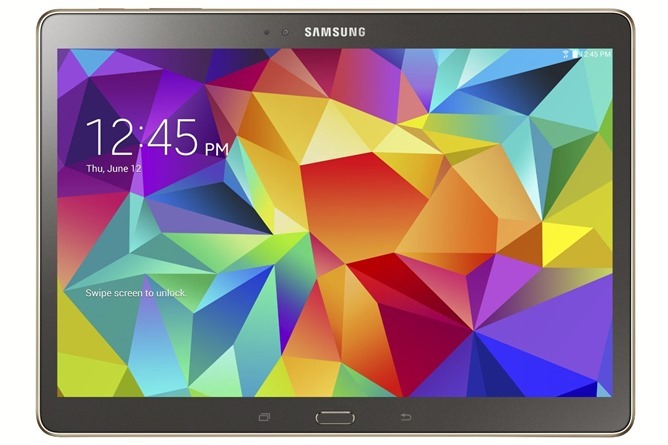 Both tablets are available in white and bronze colors with free shipping. 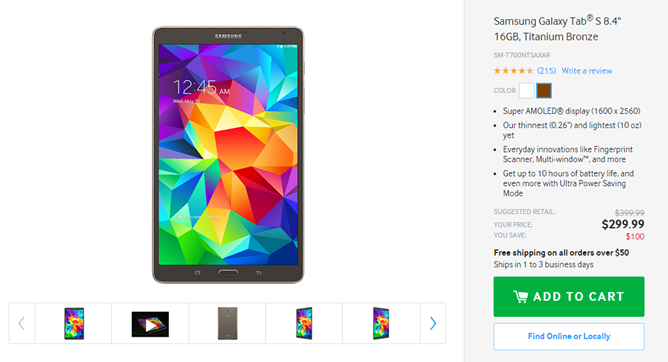 If that's not cheap enough for you (and it's still not all that cheap), Amazon has the Galaxy Tab S 10.5 for $20 less. 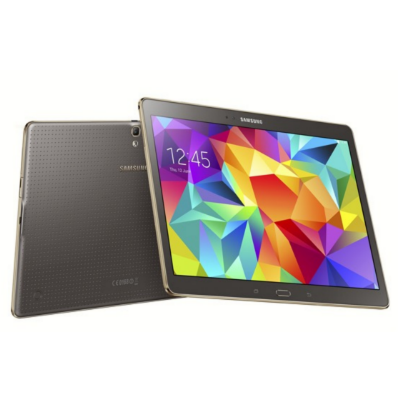 If you don't mind Samsung's software layer, the Galaxy Tab S series are a couple of darn fine tablets. Cameron called them "the best tablets" you could buy" half a year ago, taking especially fond note of the 2560x1600 Super AMOLED screens. If you've been waiting patiently for the smaller Tab S 8.4 to go on sale (shunning the many deals on the Tab Pro with its LCD panel), today's the day: TigerDirect is selling it on eBay for $299.99. That's a solid $100 off of the original retail price, and $50 cheaper than most stores like Amazon and Best Buy are offering now. Good news, owners of the AT&T variants of the Galaxy Mega 2 and Galaxy Tab S 8.4: your Samsung gadgets are getting a software update! Bad news, same people: you're probably not going to notice or care about the things contained within. The Galaxy Mega 2 gets "user interface enhancements" and the addition of the AT&T Messages Backup Service, and the Tab S only gets "revised link management handling in Calendar." Try to contain your enthusiasm. This is the first update for the Mega 2 (G750AUCU1ANL1), while the smaller Tab S (T707AUCU1ANK1) has received a similarly unexciting one already.